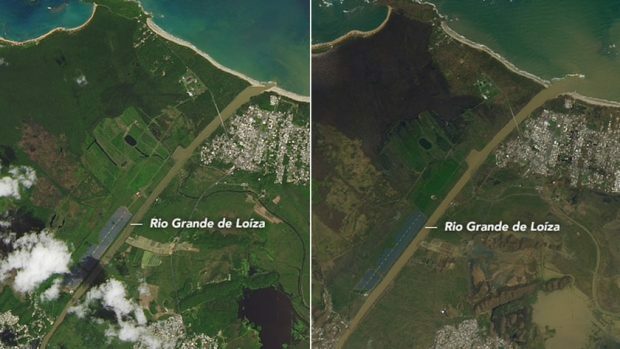 These pictures show how Hurricane Maria has reduced the lush green landscape of Puerto Rico to a muddy brown in images captured from space. The category 4 hurricane made landfall on September 20, bringing winds and intense rainfall to the island for several days. Maria knocked out the electric supply and telecommunications across the island and left the US territory marred by a mixture of damaged vegetation, mud and debris. 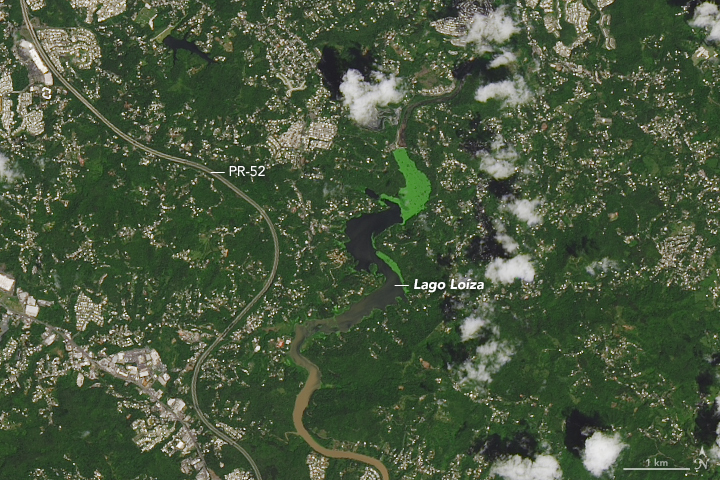 The images were captured by Nasa’s Operational Land Imager (OLI) on the Landsat 8 satellite. Cloud cover has stopped researchers from gaining more data. 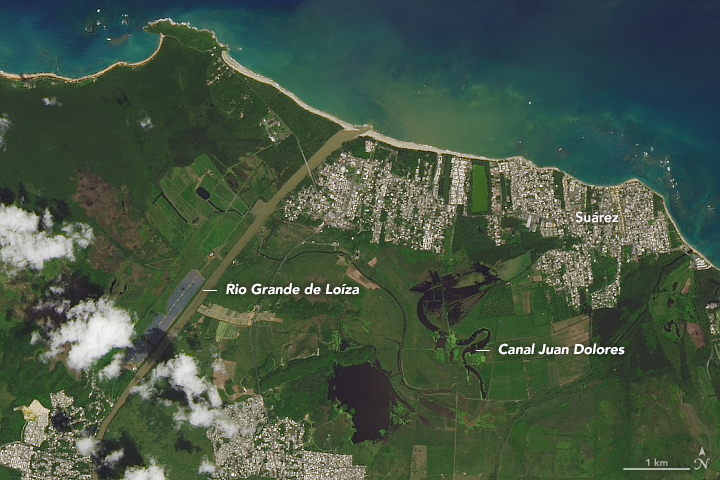 In the first set of pictures the Rio Grande de Loiza, the island’s largest river by volume, is visible where it meets the Atlantic Ocean several miles east of San Juan and west of Suarez. Pictures were taken on September 23 last year and then on September 26 this year, after Hurricane Maria. 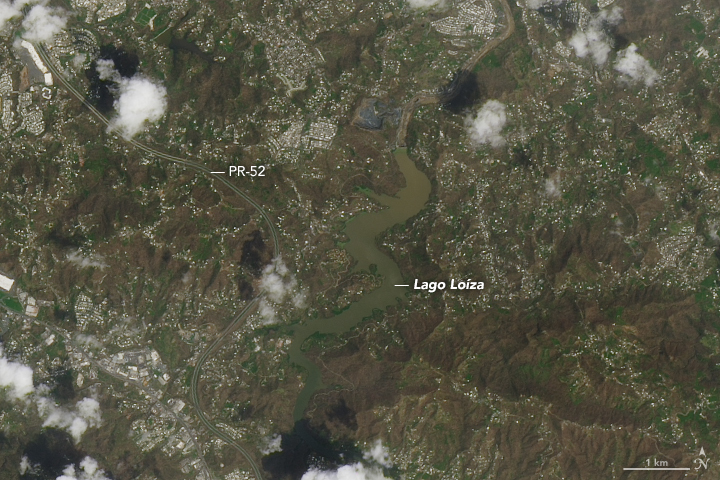 The second set of pictures shows an inland area around the Lago Loiza reservoir, south of San Juan and north of Caguas. Again, the vibrancy and greenery of the 2016 images is lost after Maria. The bright green colour of the lake in the earlier pictures could be caused by an algae bloom or other water vegetation. 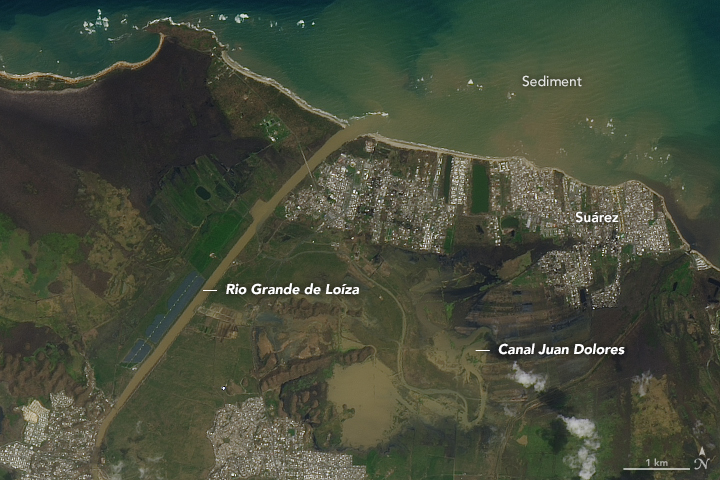 Meanwhile, satellite data is also being used to help the continuing clean-up operation. Data of the country before Hurricane Maria struck has been used to produce maps for responders.